The Premier League boys headed to South Perth last Saturday to take on the Millers. The Eagles had a couple of late changes with Peter Ker coming in for Matt Ayes and Blake Butler coming in for an injured Miles Kemp. Fines Master Sir Steven Withers manages to relieve the team of most of their money in a very short space of time during the bus ride to South Perth, leaving players thankful it wasn’t a longer ride. A lot of shenanigans going on within the rinks also. Just as the roll up was about to commence, John Woldrop, (who tends to be the last to most events), opened his bowls bag and to his dismay was greeted with 4 lemons instead of bowls. One guess who the culprit was…. Tom Mitchell, Peter Ker, Graham O’Brien and Ken Jolly had a convincing win 21 – 14 over Nick Reagan’s side, with Tommy and Ken playing very well. Shane Knott, Ant Williams, Nigel Rees and Blake Butler were on fire early and led 17 -6 but playing Ross Bresland’s rink…..your never home until the fat lady sings. However they managed to hang on winning 20 -17. Shane Knott kept up his good form in this game. Matt Mitchell, Nathan (crash) Jones, John Wordrop and Peter Bowden had a great tussle with Scott Walkers rink and twice throughout the game pinched a mini break of 5 shots. However late in the game the Millers grabbed the ascendency and went on to win a tight one 22 -18 with all these players doing their bit without dominating. WHAT TO DO WHEN YOU LOSE A PAIR OF WA BOWLS APPROVED SOCKS? WHO IS THIS DOWN A DRAIN??? The Manning 2 Red side hosted Thornlie who came and left Manning with a clean record 6/6. Although Manning tried hard all day the Thornlie players were too consistent with bowls in the head and a slice of luck. Overall the score indicated the difference between the sides with Thornlie winning on all four rinks to the tune of 103-50. Phil Gillespie’s rink were going ok until they dropped a 6 and a 4 in two ends. Dave Nester played a solid game against a very good and consistent opponent but overall the Thornlie players had too many bowls in the head and when Manning were holding number the Thornlie skip either drew shot or turned bowls in to cut down. The score of 14-27 would have been closer except for the skips conversions. Jim Drake-Brockman’s was in it all the way with the scores very tight throughout. All Manning players contributed but the weight of numbers of Thornlie bowls in the head took it’s toll and they were able to win 23-13. Jim is not that happy with the Umpire of the day as he has called him twice and neither decision went in Jim’s teams favour. Greg Ginby and his team were in all sorts of trouble early and mid way through the game at one stage being down 2-20. The lads buckled down and got a few close with the end result being a 7 shot loss 16-23. A lot of good bowls played, especially in the latter half of the game with Mark Matthews even drawing a couple on his forehand, Brian Clare put the pressure on their lead Chris Woodroff chiming in when necessary and Greg did his bit when required. A great comeback. Craig Steven’s and his rink had a very hard day losing 7-30 to a skip that has only lost once this season. 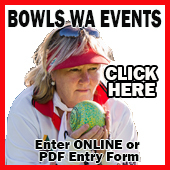 It was another case of Thornlie having a lot of bowls in the head while Manning could only get a couple in. The boys have been going pretty well this year and they will bounce back for sure. The 2 white side were hosts to Victoria Park/Carlisle, with the team desperate for a win, with Vic Park 7 1/2 in front prior to this fixture and Manning languishing in 7th spot on the table. Obviously a loss would have put Manning in a very bad position. A call for the side to attend the club for a roll up Friday night saw a healthy attendance and has paid dividends with all 4 rinks recording a win for the full 8 points and a healthy increase to the percentage with aggregate 99 to 48. Milan Jokic’s team overcame a tough opposition with each taking turns to gain some ascendancy, but with some determination of Milan’s team were able to win 7 of last 10 ends to get home by 3. Winning 20 to 17. Dave Griffiths showing good form as a 3rd and a steadying influence for the front end pair of Peters. 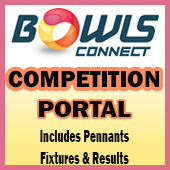 Bruce Edward’s team also were finding it difficult after losing 1st end with a bomb from opposing skipper, Ron Florance who drew shot & converted for a 7 shot turn-over, then again converting next 2 ends; Bruce’s team was 5 shots down and not the start it could have been with some very good bowls being played. The team was able to reverse the trend and were able to get back into it with the next 9 ends being very tight, with only 9 points being scored, but again Manning were behind, before Bruce’s team winning 5 of the last 6 ends with multiples, scoring 12 shots to 1 and winning 20 to 12. Steve Salamon has shown terrific form all year and again was able to produce the shots that were required and Bruce was able to consistently cause some pain to the opposition. Marcus Merz’s team had a slight reshuffle this week with Derrick McCloskey and Keith Godfrey coming into the side after their form was highlighted in the 2 bowl pairs championship. Richard Pears is the lead for this rink and has been giving them a good start. Keith was at his confidence best providing some clutch bowls the skip, Marcus putting some cream on the top, when he wasn’t feeling sorry for them and helping them out. Again this rink won 7 of the last 10 ends and ran away with final scores 22 to 11. Norm Shannon year has been feast and famine, recording 2 previous robust showings and 2 couple of hard fought losses. This week he was hungry for a win and with Ken Tomkinson (sumpy), continuing his terrific form and getting the rink off to a great start. Ron Ker also was contributing very strongly and produced some very good bowls. There were no passengers on this rink for Manning and they won 9 of the 1st 11 ends to turn the corner 19 to 4 and won 7 of the last 10 ends to finish the game 37 to 8. This was a very solid effort and set the side up for a very comfortable win. This helped the teams percentage ande were able to leap frog Victoria Park/Carlisle. The challenges are still ahead of us with an away game against Gosnells who in front of us in 5th position. A call for Friday night roll up is still there for this week. Manning traveled down the road to Canning Districts Playing Fields, where Manning took a very youthful experienced team. Lead by Bobby the Builder (Bob Antonides) and the team made up of Billy Woodruff, and the new one arm bowling machine Peter Hudson, the ever Mr reliable Harry Williams. The boys played steady bowls all day and sticking to the Skippers plan. I still don’t know what the plan was but it was a obviously a good one. Well done boys for finishing 24-18. Lead by Johnny Capper Senior, every two weeks Duncan Gilbert, Micky Moo Papandrea and fifth division bowling coach Walter Wetter. The team had a very slow start to their game trying to adjust to the roll of the greens. Where there was inside info that the greens were slow but that was not the case. Half way through the game Manning started to get their game on track and pulling the lead back to 1 shot after 17 ends. The last four ends the Canning Skipper took the game away from the hard working Manning Team. Manning going down 15-22. Good effort lads. Lead by Mr Manning Graham Maples. The flying Scotsman Harry Scarlett, have a chat Ricky Renton and Mr reliable Billy Marlow. Manning had a slow start to their game until the lead Billy Marlow started leading the way, with the backup of the boys they played good steady bowls all day. The lads going down 12-24. Good effort lads.